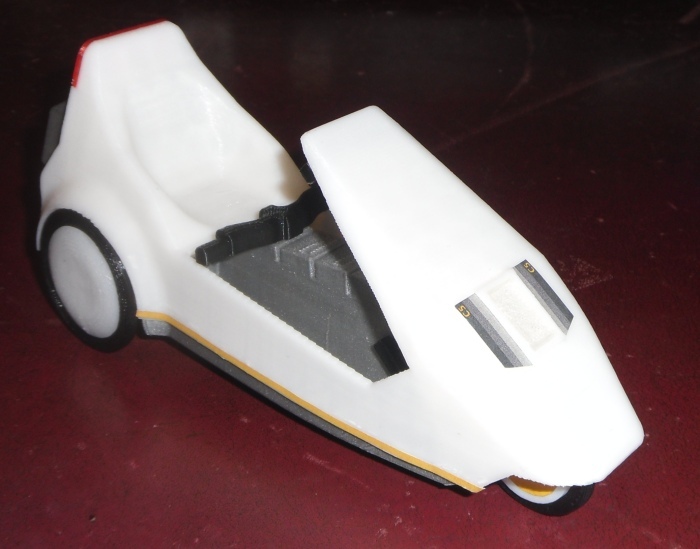 Here is the first model of a Sinclair C5 created with a Makerbot 3D printer. 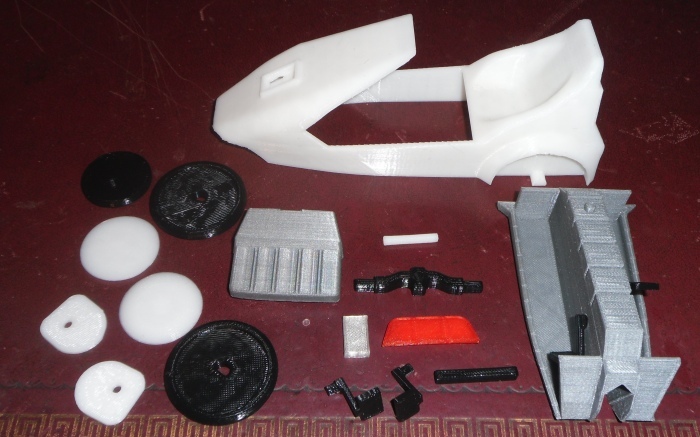 It is roughly 1/10 in scale to a real C5 and is composed of 17 different parts created on the printer and then clipped or glued together to create the final model. More information and a realtime 3D model preview, visit my 3D Printing Blog. Not suitable for children. Parts will come off with enough force. The main C5 features are included, namely the distinctive shape of White body, the Grey inner part, handlebar, POD, pedals, wheel covers and front/back lights. There are stickers for the front (next to the light) and Yellow strips on each side. Note: the rear wheel covers are plain White, the Yellow stickers would be too small to put on these. 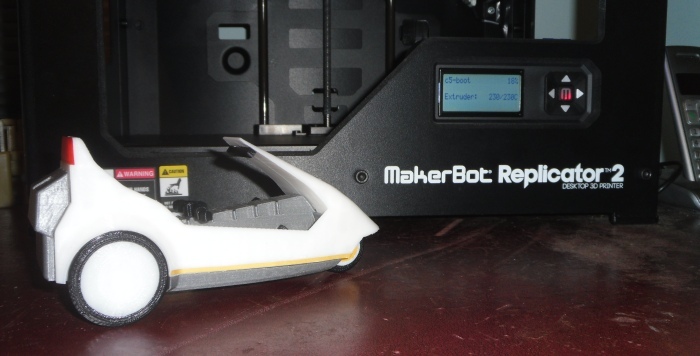 This model was created on a Makerbot Replicator 2 3D printer.